Eliquis is an oral anticoagulation prescription medication used to prevent strokes and blood clots in people with atrial fibrillation, a condition characterized by an irregular heartbeat. This medicine is also given to treat or reduce the risk of developing deep vein thrombosis (DVT; a blood clot that usually develops in the leg) and pulmonary embolism (PE; a blood clot in the lung). In addition, Eliquis may be prescribed after hip or knee replacement surgery to help prevent DVT or PE. However, despite being a life-saving medicine, Eliquis is not immune to the costly price increases typical of name-brand prescription medications. Fortunately, there are a few ways you can offset these price hikes and save money with an online Canadian pharmacy. 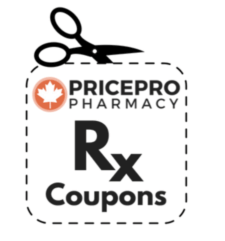 Use an Eliquis coupon to save money on your first online order using our Canadian Pharmacy! Never purchased from our Canadian pharmacy online? 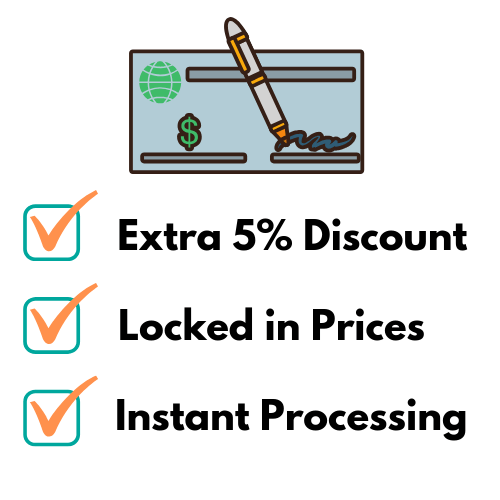 If you’re a first time customer, you can take advantage of this Eliquis coupon to instantly save money on your first order over $50! Here at PricePro Pharmacy, we’re proud to provide discount medications to Americans. But thanks to universal healthcare here in Canada, we’re able to get prescription drugs for as much as 60-80% off what you’re paying locally in the United States. In the case of Eliquis, a 60-tablet supply of a 5mg dosage will only cost you $3.08 per dose, or $185 USD for your entire prescription. And that’s before the Eliquis coupon is even applied. This price difference alone is why many Americans are turning to online Canadian pharmacies, such as PricePro Pharmacy, to help lower the costs of their prescriptions without affecting the quality of their medication. 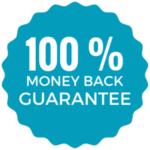 After all, we provide the same brand-name 5mg Eliquis tablets manufactured by Bristol-Myers Squibb & Pfizer that your neighborhood pharmacy packages for you. The only difference is the cost. If you are new to using an online Canadian pharmacy, or are unfamiliar with the concept, check out this resource to learn more about how this route can help you save money on your Eliquis prescription. At this time, we offer Eliquis tablets in 2.5mg and 5mg strength. Eliquis (Apixaban) is offered in 2.5mg and 5mg oral tablets. Up to a 3-month supply can be shipped at one time, allowing PricePro Pharmacy to fill prescriptions for 60, 120 or 180 tablets as directed by your physician. The Eliquis (Apixaban) dosage is determined by the prescriber to best treat your condition. It is advised to take the tablets every day at the same time. Eliquis (Apixaban) may be taken with or without food, carefully read and follow the instructions on the prescription label and take the recommended dosage. If an overdose is suspected, contact poison control or go to the emergency room. If you miss a dose, skip it and take the next dose at the regular time to get back on schedule. Do not take two doses at once!. Do not stop taking this medication without consulting with your doctor. Eliquis (Apixaban) can cause a higher risk of stroke in arial fibrillation patients when they stop taking it. If you have an epidural, spinal anesthesia or spinal puncture while taking this medication, it may cause a blood clot around your spinal cord, which can lead to paralysis. Tell your doctor if you are pregnant or plan to become pregnant while using this medication. While Eliquis (Apixaban) taken during pregnancy is not believed to be harmful to an unborn baby, it may increase the risk of bleeding before and during delivery. Do not breastfeed while taking Eliquis (Apixaban). Do not take Eliquis (Apixaban) if you are actively bleeding or have an artificial heart valve. Avoid activities that may increase your risk of injury and bleeding. Inform your healthcare provider that you are taking Eliquis (Apixaban) prior to any medical or dental procedure. There are medications commonly used in emergency settings that interact with Eliquis (Apixaban). If you are 80 years or older or weigh less than 132 pounds, tell your doctor to take additional precautions. It is important to keep all appointments and maintain laboratory testing with your healthcare professionals during treatment. If you have been prescribed Eliquis (Apixaban), inform your doctor of all holistic and prescription drugs you are consuming to avoid or minimize drug interactions. In case of an emergency, keep a list of or tell a family member what medications you are currently taking.